Though there is hardly a town without one or a big city without several, jails are rarely on the radar of most Americans. There are more than 3,000 jails in the United States, holding 731,000 people on any given day—more than the population of Detroit and nearly as many people as live in San Francisco. This number, high as it may be, is only a one-day snapshot. In the course of a typical year, there are nearly 12 million jail admissions—equivalent to the populations of Los Angeles and New York City combined and nearly 19 times the annual admissions to state and federal prisons. The Vera Institute of Justice has set out to expand our collective understanding of the impact of jail incarceration in the United States and create a more informed and substantive national dialogue among leaders and citizens about changing the role of jails in criminal justice policy. As part of this work, Vera, with support from the John D. and Catherine T. MacArthur Foundation as part of the Safety and Justice Challenge, has published two reports in the past year. Incarceration’s Front Door: The Misuse of Jails in America reviews what we know about jail incarceration through research, including the negative human toll that it has on people caught up in the system, their families and communities, and society at large. The second report, The Price of Jails: Measuring the Taxpayer Cost of Local Incarceration, looks at the hitherto underestimated fiscal impact of local incarceration, and models how jurisdictions can determine the actual price tag of their local jails—largely by taking into account the significant costs that are often not reflected in jail budgets because they are covered by other government agencies. Vera has also recently launched the Incarceration Trends project, which aggregates 45 years of jail incarceration data in a tool that policymakers, the media, and the public can use to examine trends in incarceration rates, jail admissions, and other metrics across counties in the United States. But there’s more to the story of jail incarceration than just the numbers. There are the real lives affected every day by the consequences of an overused system—and not just for those who are placed behind bars. The Human Toll of Jail project is a storytelling collaboration between Vera and digital publisher Narratively, supported by the MacArthur Foundation’s Safety and Justice Challenge and the Robert W. Wilson Charitable Trust. It sheds light on the everyday experiences of those caught up in the system and those tasked with administering it. 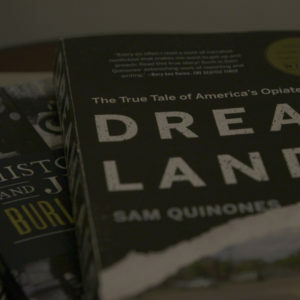 From fathers and mothers, people with mental illness or substance use disorders, those without homes or resources for stability, and their families and loved ones to corrections officers, mental health aides, prosecutors, public defenders, judges, and community partners, these stories illustrate not only what’s wrong with the current system, but also how we can do better. Read more about this project in the Acknowledgments section. These 10 stories are just the beginning. Jail takes a toll on us all and there are many more voices ready to be heard while researchers, policymakers, and legislators debate the significance of statistics and data points. Keep your eye out for more as we continue to add to this collection of first-person experiences. Got a story to tell or want more information about this project? We want to hear from you. Contact Karina Schroeder at kschroeder@vera.org.